Have you ever stopped to consider how your syllabus—and even your institution and country’s educational system—is influenced by cultural values, beliefs, and assumptions? Our educational institutions—and everything we do within them—are socially and culturally constructed. We all have beliefs, values, and assumptions when it comes to what “good” and “bad” education look like, and it’s important for us to reflect on what those are, where they come from, how they shape our work, and how they might be perceived by and impact others. But where to start? How about with your syllabus! Winter break is almost here, and many of us will soon be gathering with family and friends to celebrate various holidays. These holiday gatherings can be a lot of fun, but they can also be stressful. One reason is because they oftentimes require us to engage with people with whom we don’t always see eye to eye. I’d like to invite you to re-frame the holidays as an opportunity to practice intercultural competence, and perhaps build some bridges and promote peace in the process. Happy belated Thanksgiving to those of you who celebrate this holiday! As an interculturalist, it can be a bit difficult for me to reconcile celebrating a holiday that is related in some way to one group of people taking over another peoples’ land (that’s a conversation for another blog post). So I try to focus on what I am thankful for and how I can do my small part to help prevent such things from happening in the future. I’ve been reflecting this Thanksgiving on all that I’m thankful for, not only in my personal life, but especially since leaving my steady international education job to begin True North Intercultural LLC, and the recent success of the Foundations of Intercultural Learning & Teaching professional development program. Significant learning is learning that makes a difference in how people live—and the kind of life they are capable of living. We want that which students learn to become part of how they think, what they can and want to do, what they believe is true about life, and what they value—and we want it to increase their capability for living life fully and meaningfully. 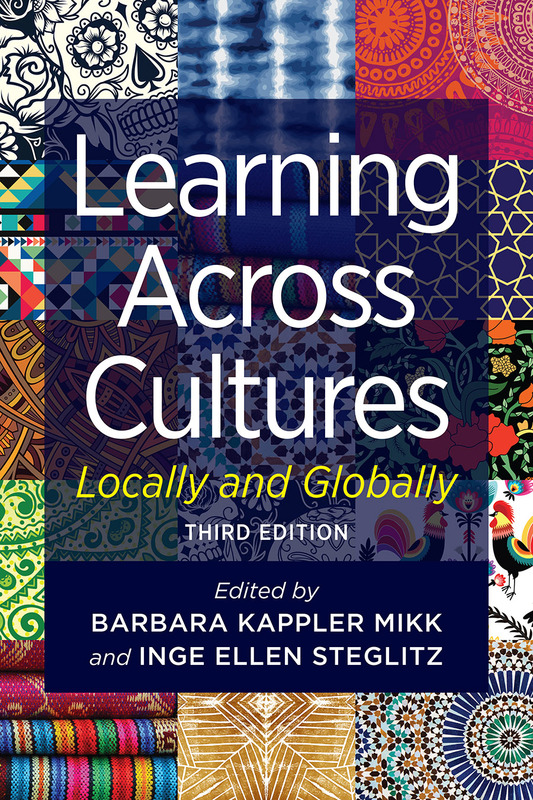 This is the quote that introduces my recent chapter, entitled “Design and pedagogy for transformative intercultural learning,” in the book Learning Across Cultures: Locally and Globally, edited by Barbara Kappler Mikk and Inge Steglitz. It may seem overly optimistic to some, especially in today’s world, but I choose to believe that I can somehow make a positive difference in this world. Not in a massive, everyone-will-know-my-name kind of way, but more like a stone-producing-ripples-in-a-pond kind of way.